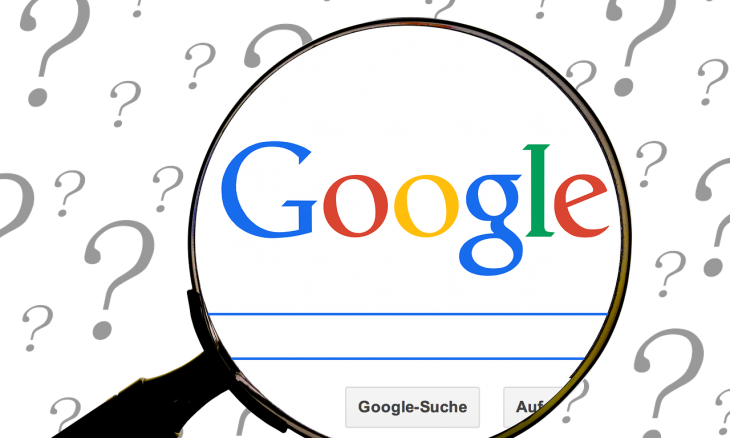 Home › Search › Organic Search › What do you make of the Google patent? What do you make of the Google patent? Google’s latest patent filing—for their vaunted ranking algorithm—has been analyzed to death by search experts the last few weeks. This month’s Biznology Newsletter analyzes what you need to know. You might be surprised at what that is. It’s been a few weeks since the search marketing experts were abuzz dissecting Google’s latest patent. It’s been teased apart and analyzed to death and is probably understood quite well by now. So what do you need to know about this patent? Maybe this is the only article you’ll ever need to read about it. Welcome to the July Biznology Newsletter. I come to you each month with a topic at the center of business and technology—this month we’ll look at the issue of search engine patents. Why Do Search Engine Companies File Patents? The concept of a software patent is a relatively recent idea, befitting the relative youth of the fifty-year-old software business. Patents originated as descriptions of machines—inventions—physical things that have a novel approach to solving one of the world’s problems. At first, no one thought software could be patented. Software programs were considered to be purely mathematical algorithms and therefore not patentable, because mathematics cannot be invented. Software code listings were (and still are) copyrighted, but until the 1980s, were not patented. Several U.S. court decisions since 1980 have forced the U.S. Patent Office to accept any software patent that is more than just mathematical algorithms. It turns out that any competent patent attorney can write a software patent that embodies a process of solving a problem that is more than an algorithm and thus patentable. Patents provide protection to software inventions beyond copyright protection—instead of being protected against merely copying the code, patents protect the process the software uses, so if another company writes a program from scratch that works the way yours does, they can be forced to pay damages for infringing on your patent, even though they haven’t infringed on your copyright in any way. Almost all software companies file patents on every innovative program they write, because they want to protect their inventions from use by others, and because they don’t want other companies to come along later and patent what they have already done. (If that happens, an originating company without a patent can usually prove that they did it first, but it is costly and time-consuming.) Software patents remain controversial—the European Union is under pressure to abolish software patents. Search engine companies file patents for the same reasons that every other software company does—to protect their intellectual capital. Search engines file patents on everything they do, from crawling sites to analyzing text to their ranking algorithms. (Yes, they can figure out how to discuss ranking algorithms so they are not merely mathematical formulas.) And the patent that is causing all the recent discussion in search circles is Google’s ranking algorithm patent. Is It Google’s Secret Sauce Recipe? But because patent protection is so powerful, the goal of a patent attorney is to claim the broadest defensible invention. In other words, the wider the applicability of your patent, the more valuable it is. So it is in the interest of the patent holder to throw into a patent everything but the kitchen sink so that the invention can be used in any conceivable way—and competitors are prevented from using that technique unless they pay patent licensing fees. Just because it is in the patent does not mean that Google has to use it. Google can patent 50 ways to rank search results but only use two of them in their actual algorithm. They are not obligated to do what is in their patent, but they have protected the invention if they do decide to use it. Just because it is missing from the patent does not stop Google from doing it. As above, Google can use any idea it likes, but if the technique is not patented, they have not protected the idea from use by others. In addition, Google may use techniques that are not in the patent because they did not believe they were novel enough to include in a patent. The patent was filed in 2003. If you think that Google’s engineers have been sitting still since then, think again. In fact, it is likely that they have filed several more patents since 2003, but we don’t know about them because they have not been granted—yet. Some experts, notably Mike Grehan, believe that you need to know as much as you can about how search engines work to succeed at search marketing. Mike does not advocate any trickery to “game” the algorithms, but he might argue that you should pore over this patent and learn everything you can. And honestly, it won’t hurt you to do that. If you learn a lot, as Mike suggests, it is sure to help you in some ways as a search marketer (and Mike does explain it very well). But I believe that you don’t have to learn anything about Google’s patent. While it might be helpful, it is not the only way to succeed. As we point out in the book, few search marketers succeed by “chasing the algorithm.” You probably don’t have time to keep up with the constant changes and you have better ways to spend your time. Stick to thesearch marketing basics—they are not very expensive and they don’t change every day, the way the ranking algorithms do. What is happening to Open Directory?